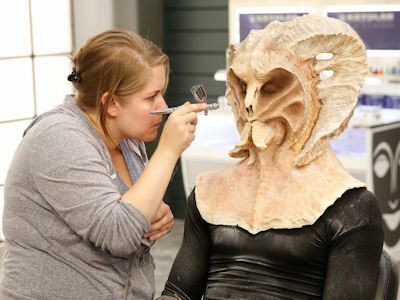 Face Off is a competition/elimination series exploring the world of special-effects make-up artists and the unlimited imagination that allows them to create amazing works of living art. 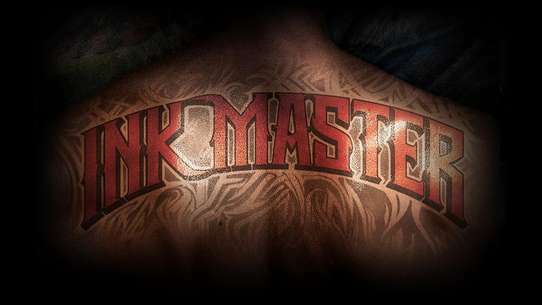 The contestants are tasked with elaborate feature challenges including executing full body paint make up on models and creating their own horror villain. 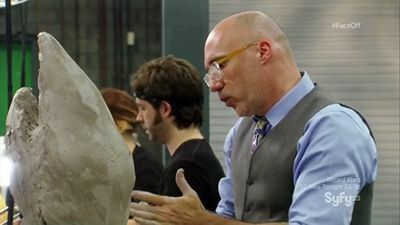 Not only will the show incorporate effects make-up, it will include a wide range of skill sets including prosthetics, 3-D design, sculpting, eye enhancers, casting and molding. 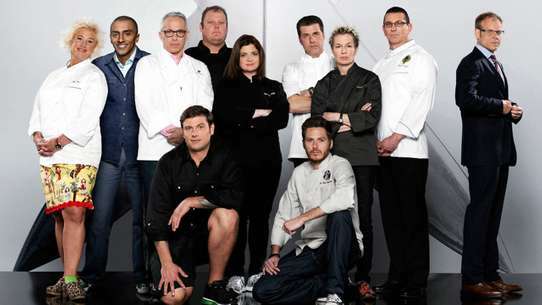 Each episode involves incredible reveals of the competitors' finished work, and the drama of one contestant being sent home by the panel of expert and celebrity judges. It all culminates in one winner and one grand prize that will launch a career. Face Off is a production of Mission Control Media with Michael Agbabian and Dwight Smith serving as executive producers. 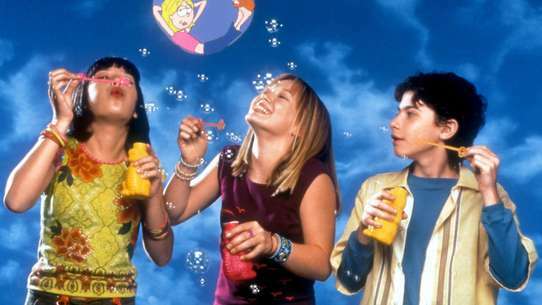 The finalists must each create three original characters from a specific movie genre who will perform a choreographed-dance routine at the Alex Theatre in Glendale, CA. The three finalists must create a waterproof makeup for the show "Le Reve: The Dream" at the Wynn Hotel in Las Vegas. The judges pair up with two team members, a former all-star contestant and former champion, to create a pair of living chess pieces in a special competition for charity. 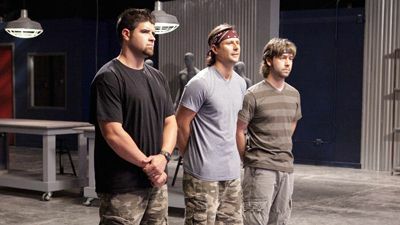 The final three must create animalistic kung-fu masters for an actual fight scene in hopes of being declared the winner in the Season 11 finale. The season of life and death concludes as the artists tackle the fantastical world of knights in an effort to win the crown. Creating a new character from an ordinary occupation for a Tim Burton film. 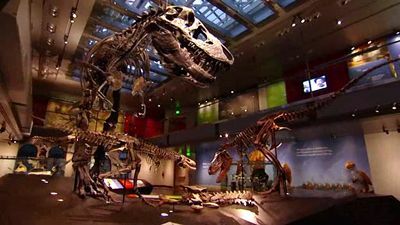 The five remaining contestants participate in a double-elimination event to create a human-dinosaur hybrid to determine which of them will go to the finale. Who's the best monster in the world? The vampire, of course! And that's exactly who the artists get to make this week. And since this is Face Off, it's not going to be easy: each artist chooses, at random, the name of a vampiric character from another culture. They must create their interpretation of these worldwide myths, as well as add an extra killing feature not usually associated with vampires. The remaining contestants have to create two dancing aliens who are able to perform without breaking. The artists must create a sorcerer and swan for a special performance of "Swan Lake" by the Los Angeles Ballet. The finalists must revise their makeups from the first part of the finale, as well as create a floater character to interact with the public outside of their rooms. 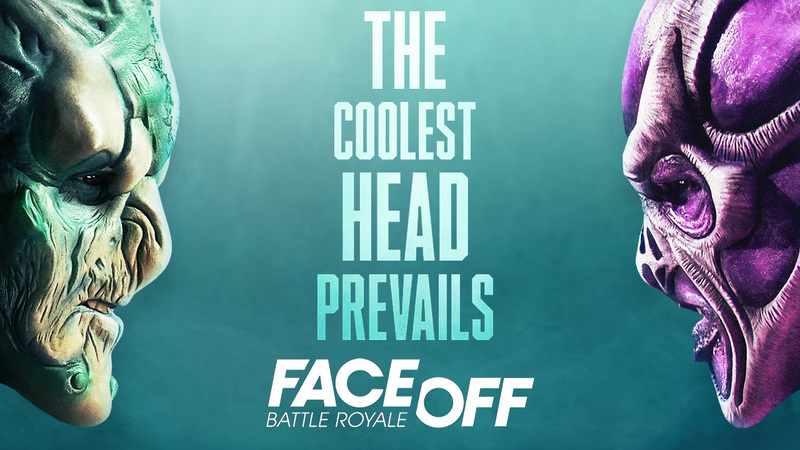 A winner is crowned in the conclusion of the two-part Season 9 finale. But first, the finalists finish work on their characters for the short films they're making with director and creature designer Patrick Tatopoulos. Eight newcomers take on eight former contestants as each team creates a series of hyper-stylized fantasy characters. 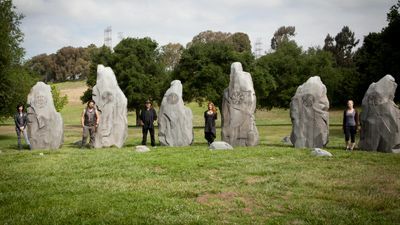 At Kenneth Hahn Park, the artists are asked to choose magical Norse runes to inspire a dark elf warrior character. Arriving at the famous Laugh Factory comedy club, the artists are tasked with creating an original ghost character that is funny and scary. The remaining teams must create life-size puppets inspired by different types of tradesmen. 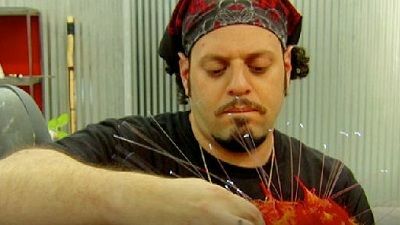 The remaining 14 artists take part in a deadly predator challenge featuring guest judge Josh Hutcherson ("The Hunger Games"). The artists must create characters that could live within iconic art movements. 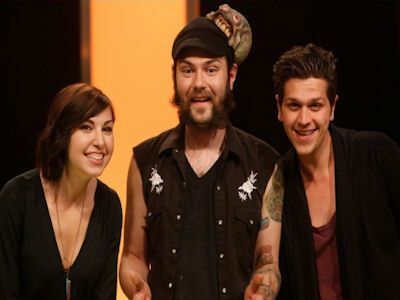 The last challenge has the three remaining contestants creating fairy-tale characters derived from "The Three Little Pigs," "Little Red Riding Hood" and "Hansel and Gretel" for a cocktail-party setting in the first-season finale. 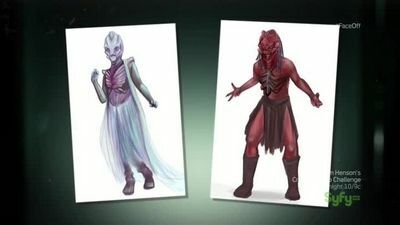 The artists visit the set of the new Syfy series "Defiance" to inspire original alien creations. The final five must create a representation of a Hawaiian god or goddess. Oscar winner Rick Baker is the guest judge for the first Spotlight Challenge, which finds the artists working in teams to create two original alien characters, plus a primate leader. When the contestants walk into the lab, it's completely transformed into a different kind of lab, one that a mad scientist might use to transform a human guinea pig into a grotesque monster. McKenzie allows them to choose an antique medical (torture) device to best create their "experiment", from a trephine to an embalming pump.